I seem to get a lot of questions on what sub base materials should be used under landscaping projects. The questions come in from all over the world, and the materials used in your area can vary. The same materials can also have different names in different regions making things confusing to a do-it-yourselfer. We have visitors from over 100 countries a month, so we approach matters like this with a very open mind. 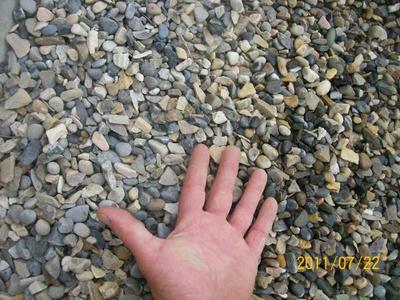 There is no basic standard type of gravel, rock or sand that all landscapers use. This is usually a matter of preference, cost, and type of project you are building. The geographical climate you live in will dictate how thick of a sub base you will need to deal with possible frost and soil issues. The naturally occurring geological formations in your region will determine what specific raw materials will be available at the local suppliers. Just like going to the doctor, it never hurts to get a second opinion. We will give you 3 sources for these opinions at the bottom. There are however certain materials that you shouldn't use. Things to stay away from are pea gravel, river rock, and certain types of sand. Your local supplier will be able to explain about sand better, as it also has different reference names depending on where you live. 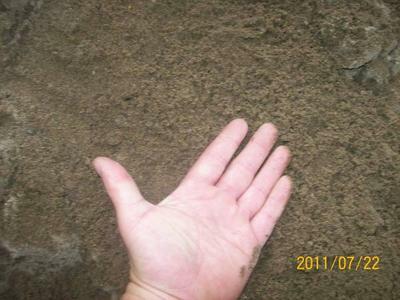 If too much sand is used it can lead to problems with excessive moisture creating a fluidity and unwanted movement. This is a very similar scenario to a “Slide Plane”. This is a term used in landscaping to describe the ability of rocks of any size to hold together. Broken and jagged edges can “Lock” or bond to each other when packed in tightly. Larger particles mixed with smaller particles like crushed rock can also help in this bonding. This is common in “Road Crush”, which is a material widely used in road building. The rounded rocks that we described above will not mechanically bond to each other. They are difficult to pack in and are not recommended for sub base materials. Pea gravel is often used for playgrounds. There are also controversial materials like Limestone. Limestone is a sedimentary rock that can have different physical characteristics depending on the composition, and the state of metamorphosis (changes due to heat, and pressure it has been exposed to). Through these changes limestone eventually become marble. As a landscaper that has worked in different regions, I have seen vast differences in materials and names. is not the same. It requires some geological knowledge and understanding that we won't get into here. I have done a lot of reading on the use of crushed limestone and there seems to be a split among landscapers. (Some landscapers swear by it, and others stay clear away from it.) Some contractors claim that it is great for keeping ants away. Whatever claims you may have heard, it is a fact that crushed limestone (Limestone fines) will hold moisture, and even draw moisture up from the ground. If you live in a climate with the possibility of frost heave, limestone should be used sparingly. (At the most, a 1 inch layer for bedding stones.) The last thing you want under your flagstone project is frozen water. Some manufactures of brick and paver products will not endorse limestone due to the fact that it holds moisture, and can also lead to efflorescence. One more thing about using Limestone is that it can affect plant life. It may not be the best choice if you are planting between the cracks of a patio or walkway. Limestone fines (Crushed limestone) will also affect nearby plants and trees. Limestone is not the only thing that can affect plant life. Other stones can leach (Bleed) toxins into the soil, or affect the pH level. Choose your base carefully to your particular situation. Just because something is used in abundance doesn't always make it the best choice for you. Traditional bases like road crush (typical road base material), and 3/4 inch crushed washed rock with a 1 or 2 inch crushed stone or sand base have been widely used for years. I have used them in many projects and never had a problem. Slurry mixes, concrete, mortar, etc. are something that warrant a whole section on their own. We can look at them later. For now we will stick to gravel. So we get back to our original answer. This is a specific question to your region, and should be answered by local professionals where you live. The first place you should be contacting is your local supply yard. Ask them what local professional landscapers are using. You will more than likely get multiple answers. Next contact your local Department of transportation, highway dept., or city engineers office to enquire what they use. The materials they use are specified by engineers based on technical data. One more source of information that I have recommended people to is the ICPI (Interlocking Concrete Pavement Institute). You can find detailed specs for construction in your region at this link. These are the surest ways to find out what you should be using under your project in your region. Hopefully, this will help steer you in the right direction. This is true that different regions have different materials available and it depends on them the construction made. We have been recently thinking about spreading baby stones in the drive way to make it look classier with the other landscaping works we had done in past few months. The confusion arose with the selection of right size of the stones. Now, that I have got a rough idea on the same, I think we could come to a conclusion. Thanks for the kind words Lee. Build this project with the patio in mind, and not the groundcover. The ground cover is a cosmetic, the stone patio is the foundation. You can prepare the stone gaps for the plugs quite easily after the patio has been stabilized. I have some other thoughts, but would have to ask you a few more questions first. You can email me directly kevin@dream-yard.com so we can pursue this a little further. Thanks so much. Glad you like the site. what if you're using ground cover? Hi Kevin. 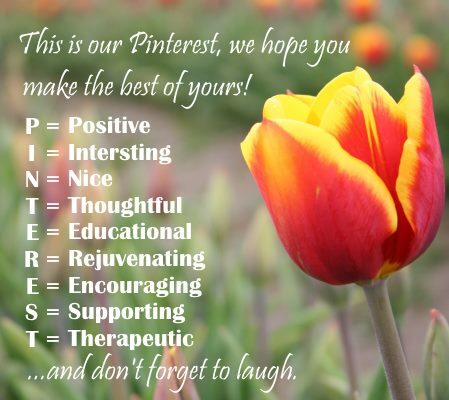 I love your site -- there's so much to learn, and you are nice enough to pass on all your experience. Thank you! We have a very shady spot in our front yard, and we've given up on trying to keep grass there. We've decided to put down a flagstone patio, but instead of mortar, we want to use dwarf mondo in between the stones (very similar to a lot of your walkway pictures, but a patio instead). Do we need to put a base underneath the stones? I don't want to interfere with the spread of the ground cover.